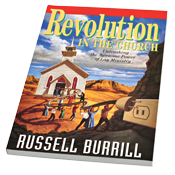 "As Adventism burns with intense heat in the third world," author Russell Burrill writes in the first chapter of this book, "it barely flames in its homelands . . . hiring pastors to do the work of the ministry while the laity pay, attend, and observe is not God's plan for the Adventist church." What the author proposes here is indeed revolutionary - nothing less than a radical change in how we Adventists "do church." He contends that both pastors and laity have strayed far from their biblically assigned roles. For those comfortable with the status quo of laity as spectators and pastors as the performers of ministry, this book may be less than fully welcomed. But for those eagerly awaiting the second pentecost, the ideas proposed here - if implemented - will prove to be the spark that ignites it. Softcover, 128 pages.